My idea for the book developed from looking back on my experiences and interactions with all levels of individuals since migrating to Pennsylvania, and coming face-to-face with the true nature of racism and self-hatred. I moved to northeast Pennsylvania nineteen years ago when large corporations were offered opportune benefits for relocating to the region. My brother followed his employer to Scranton; my family followed my brother; and I followed my family in hopes of a better life. 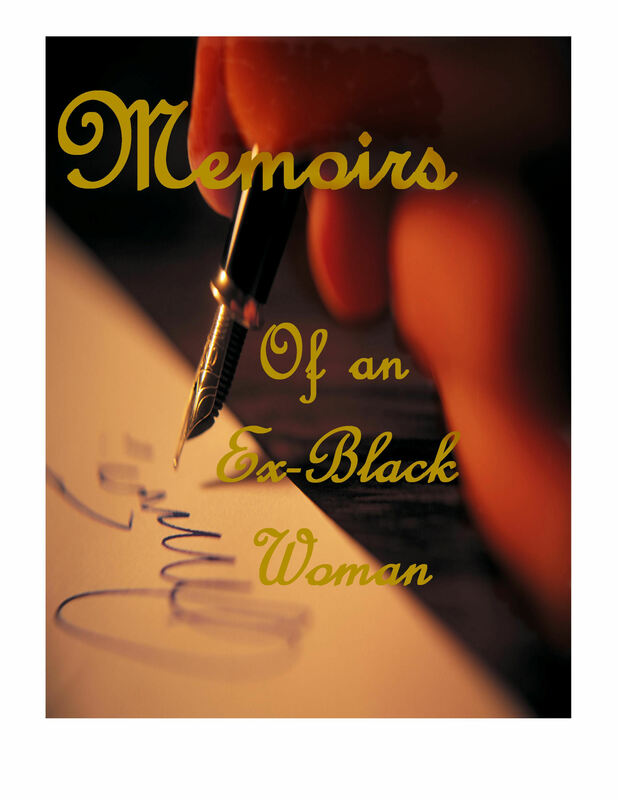 This memoir examines my personal journey of as a community activist; publisher of a community newspaper; president of the local MLK commission; founder of the Annual Unity Festival in Northeast Pennsylvania; organizer of the first officially recognized Black History Month Gala in the City of Scranton; winner of the state’s Best 50 Women in Business Award; single parent of five beautiful sons and daughters; to recently in coming face to face with just how “black” I really was–when my youngest son told me in one brief statement, that I “poop” on Black people more than White people do. The accuracy of his statement left me no defense and it was the result of that moment of truth that I arrived at the decision to thrust aside the annoyances, undesirability and devastating effects caused by the blackness of my own narrow minded, selfish, self. Thus, I began the path to self mastery. To “Know Thyself” is the ideal of self mastery which cannot come about without self-examination. It was for me to comprehend the desires and drives behind my own habits, morals, temperament, and other aspects of my behavior that I struggle with on a daily basis. I had to let go of labels and fault finding if I were ever to reach my fullest potential and begin to be who I really am. It is my sincere hope this self-examination will help others overcome their own limiting beliefs, and the tremendous damage we cause in blaming others for the excuses we make that cause the problems we face as a community, as families, as individuals. We can design a better life at any stage, in any place, for every reason that life hasn’t been a rewarding experience.